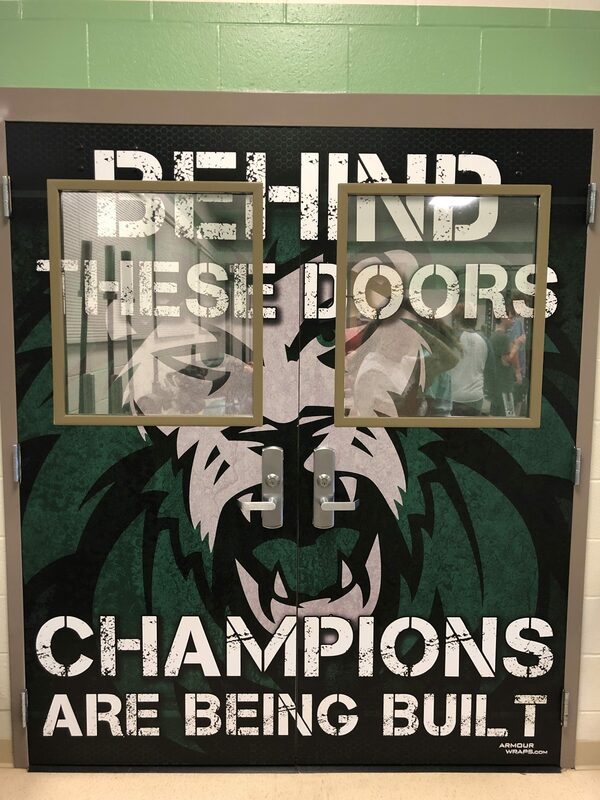 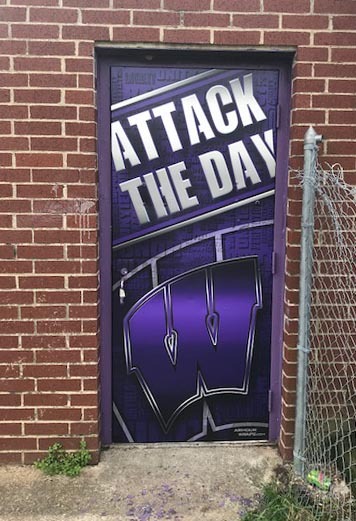 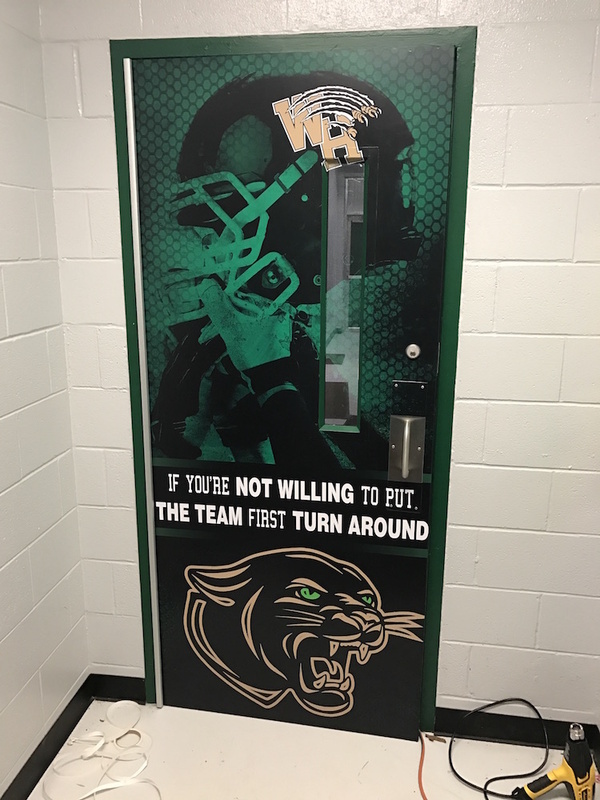 Door Wraps - Armour Wraps LLC. 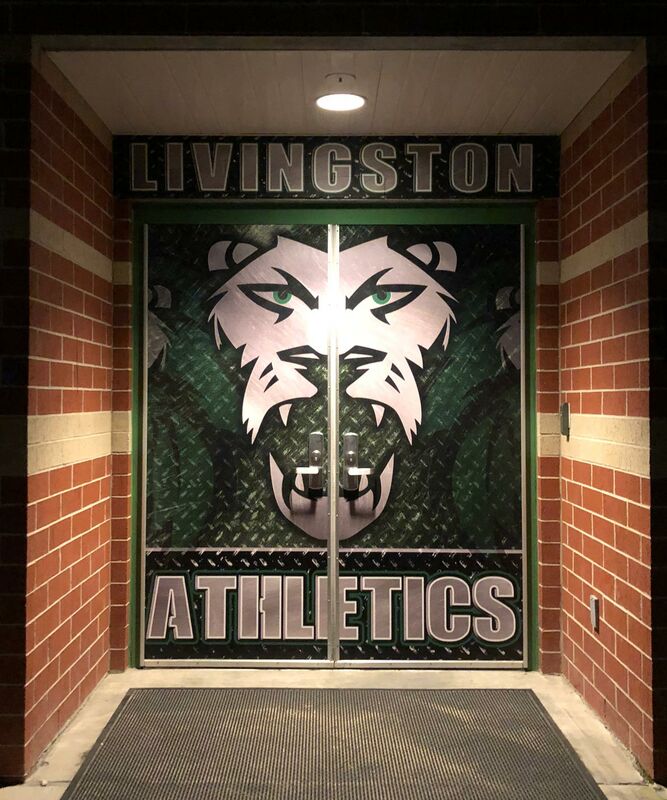 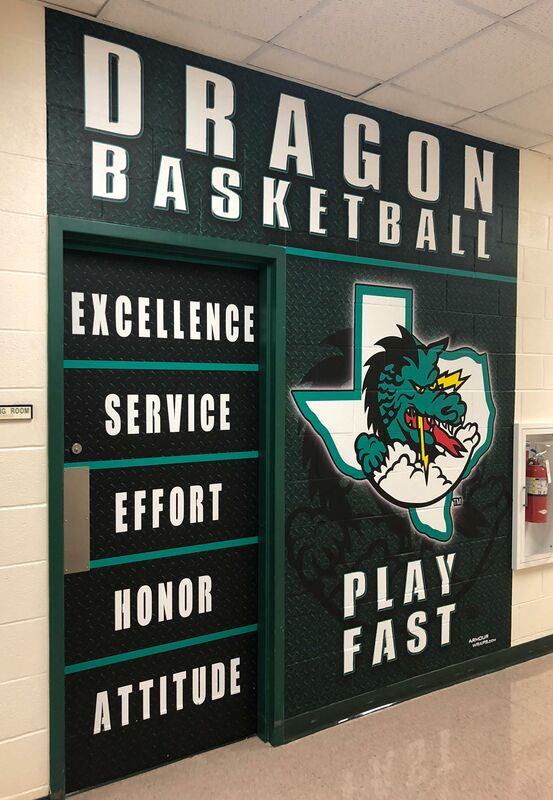 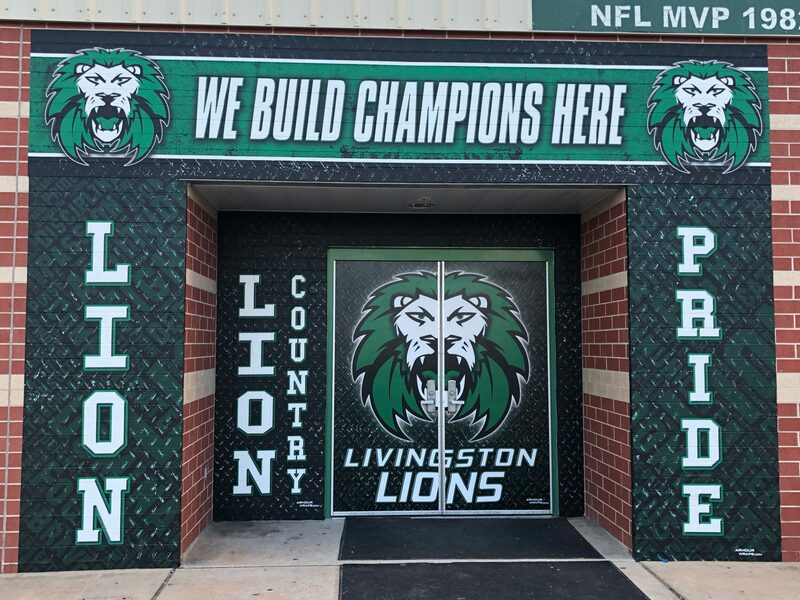 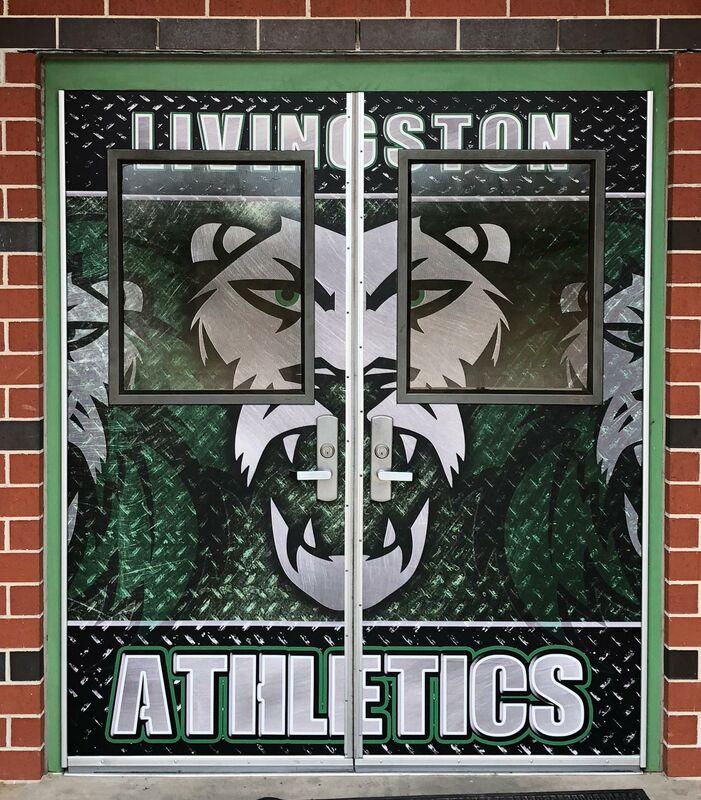 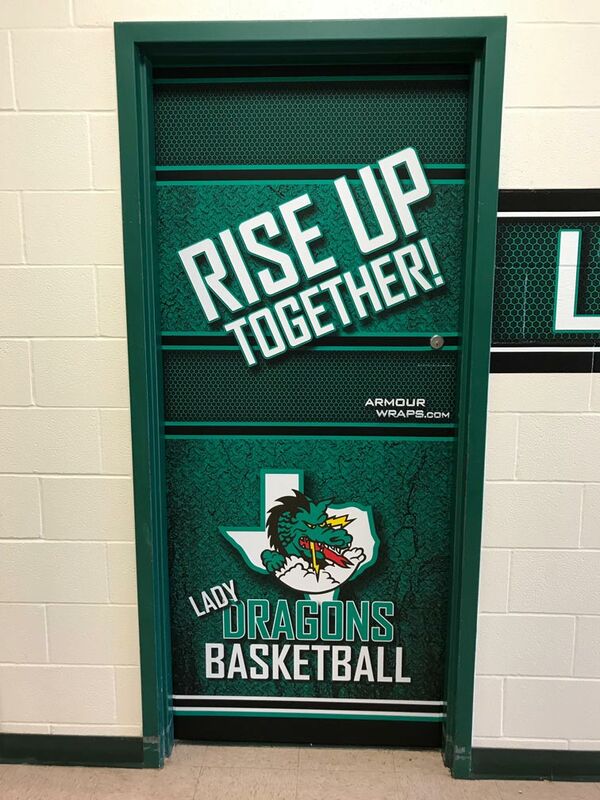 Brand your school with custom designed athletic facility graphics. 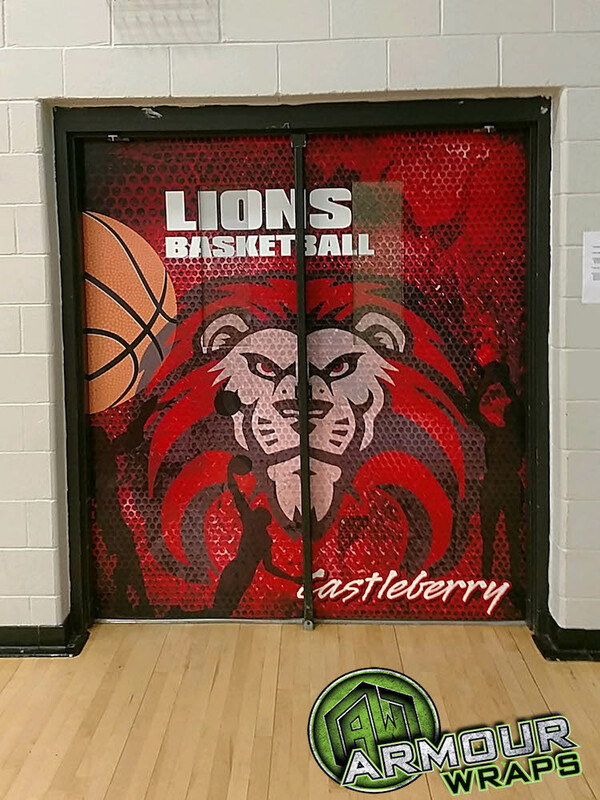 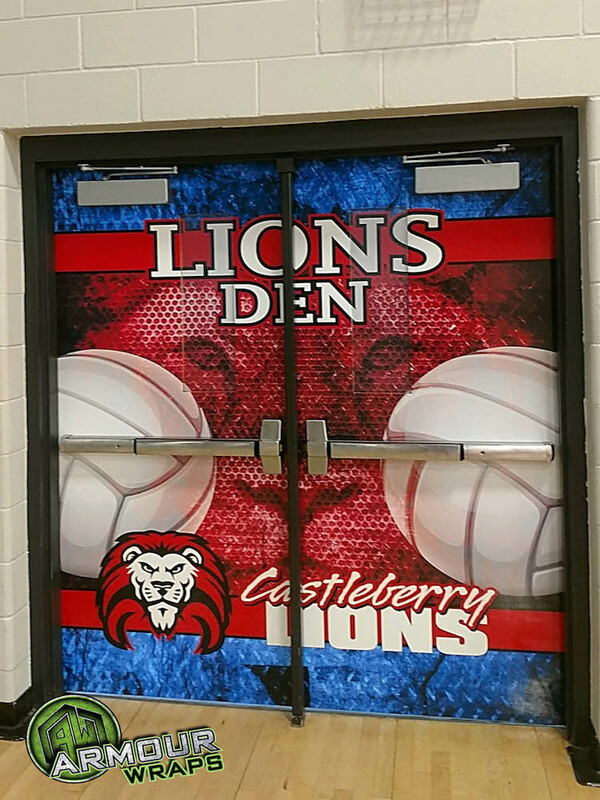 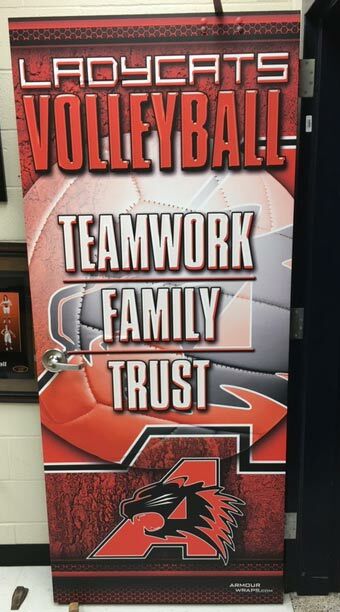 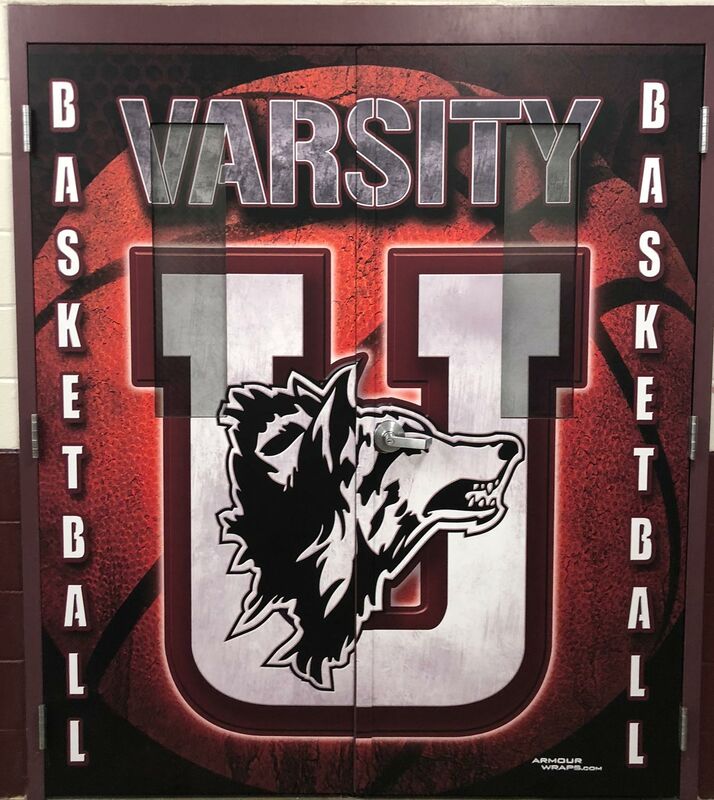 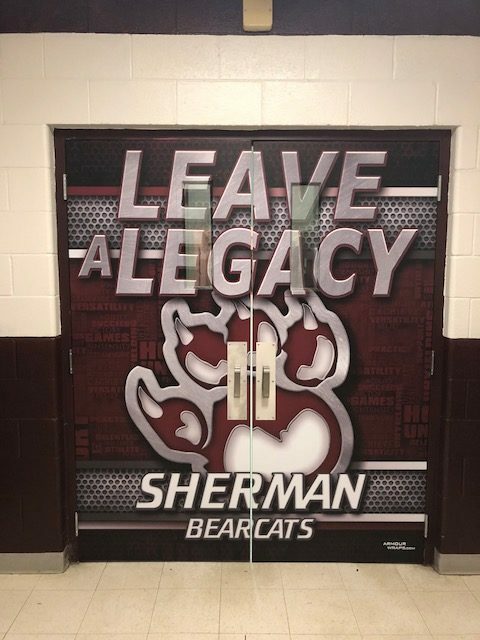 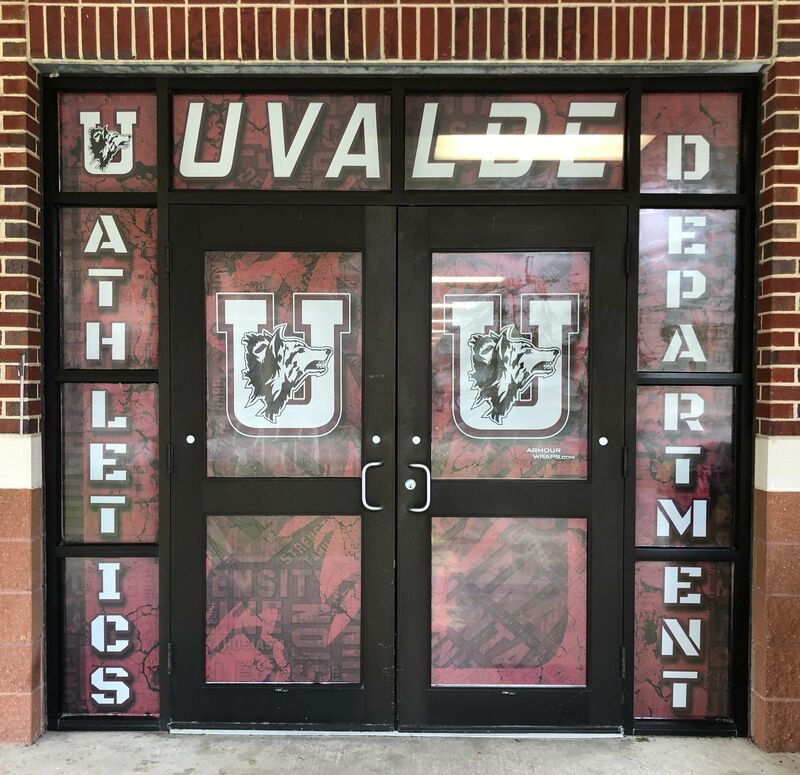 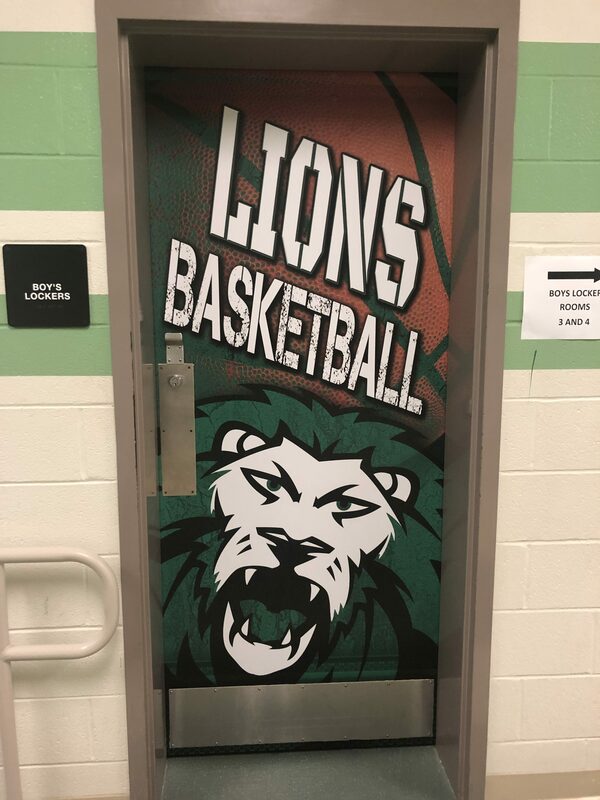 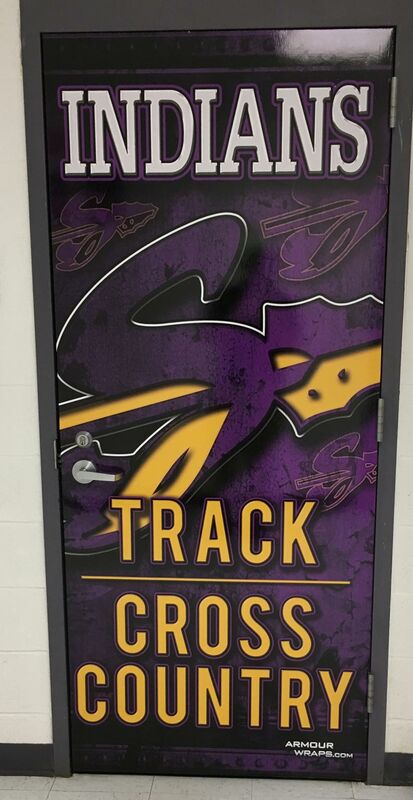 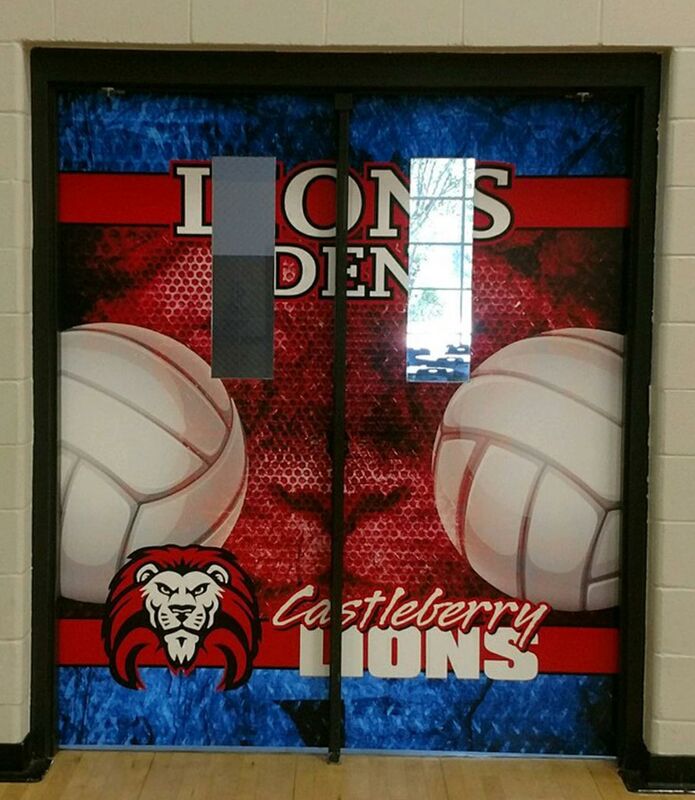 A great, cost effective way to elevate the looks of your facility is with our door wraps. 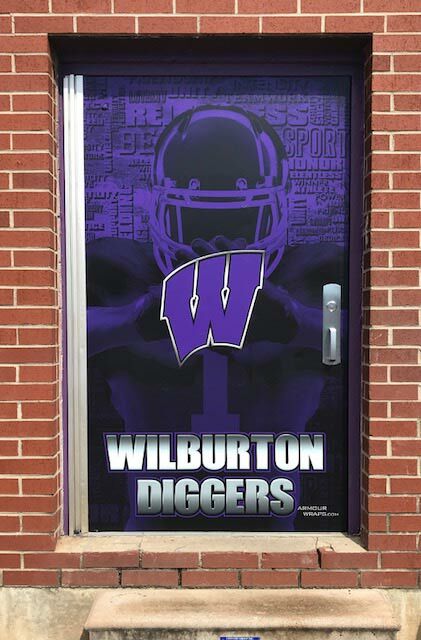 We incorporate your mascot, colors and team motto to design an image that will make an impact on your student athletes. 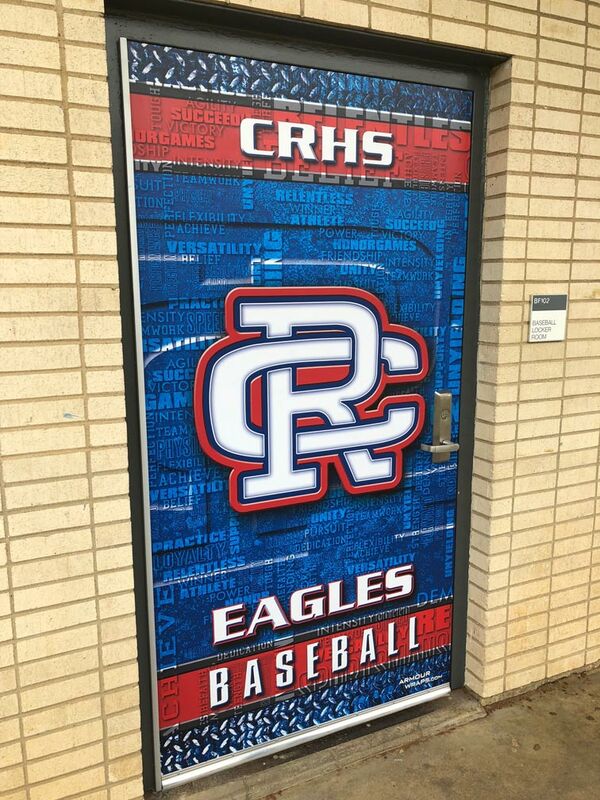 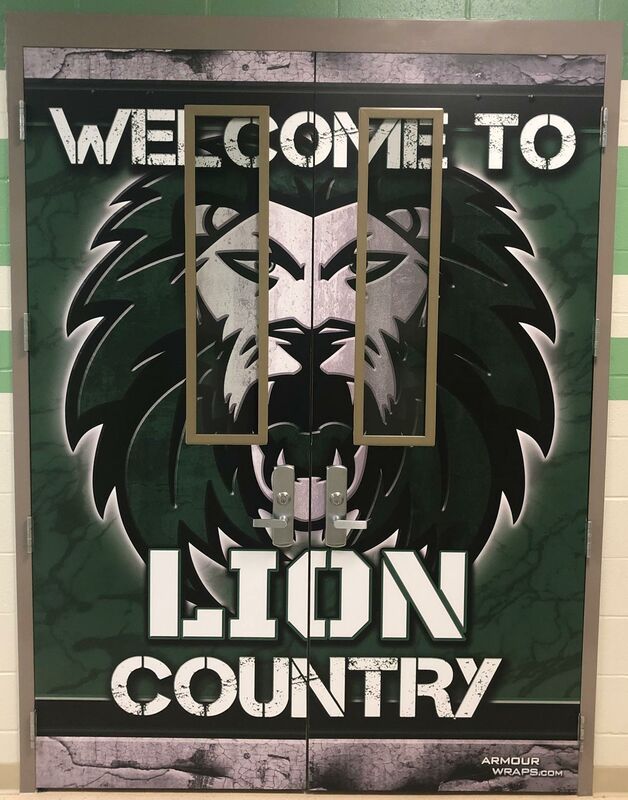 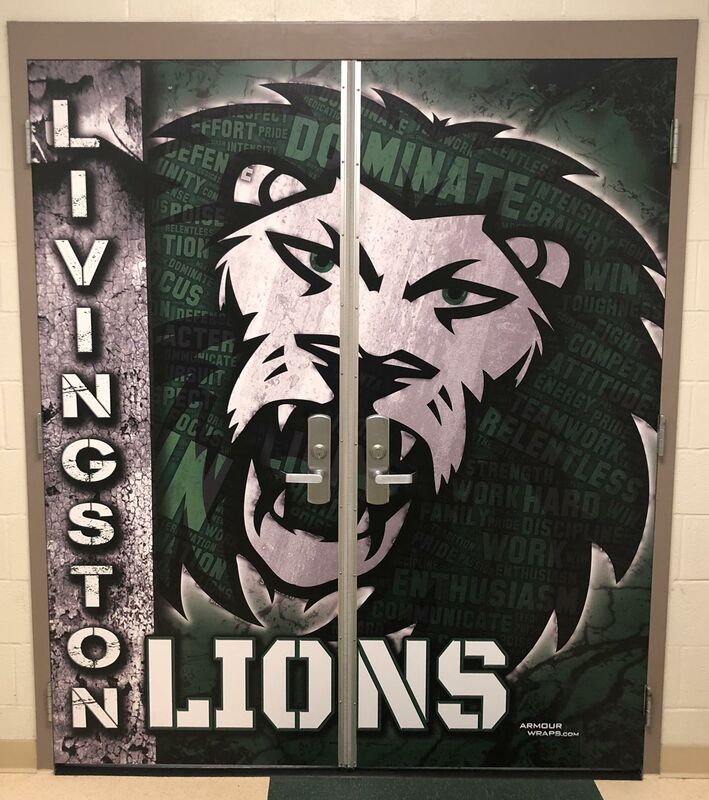 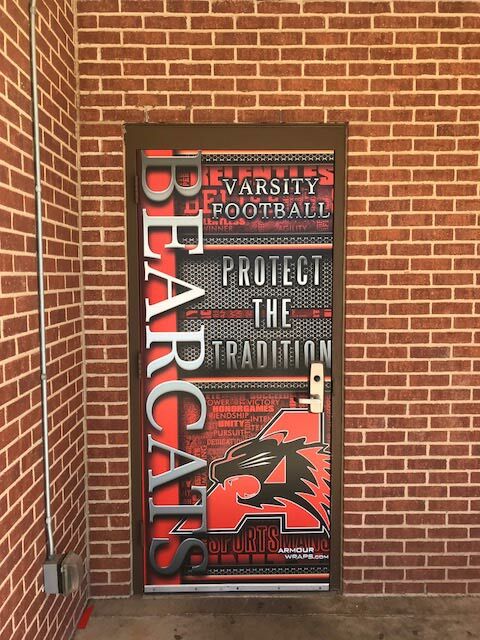 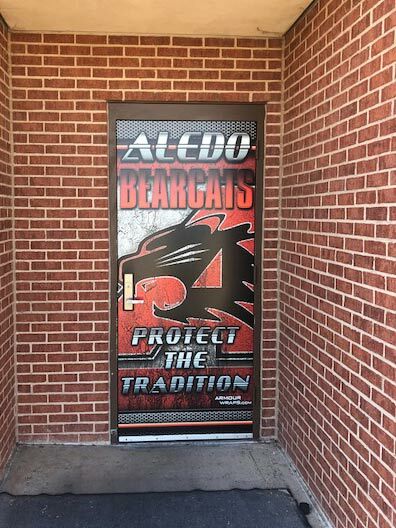 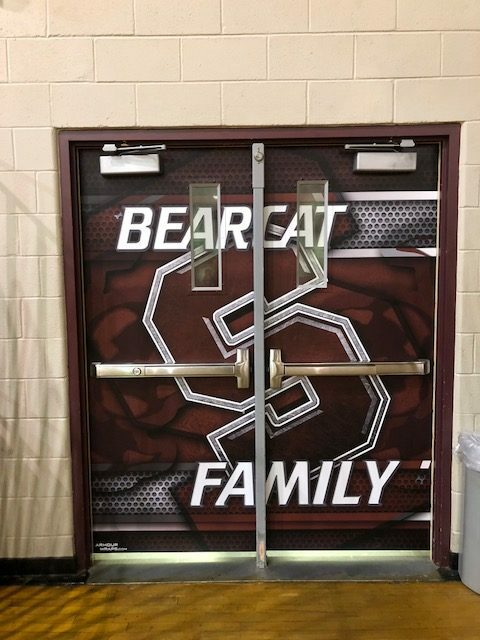 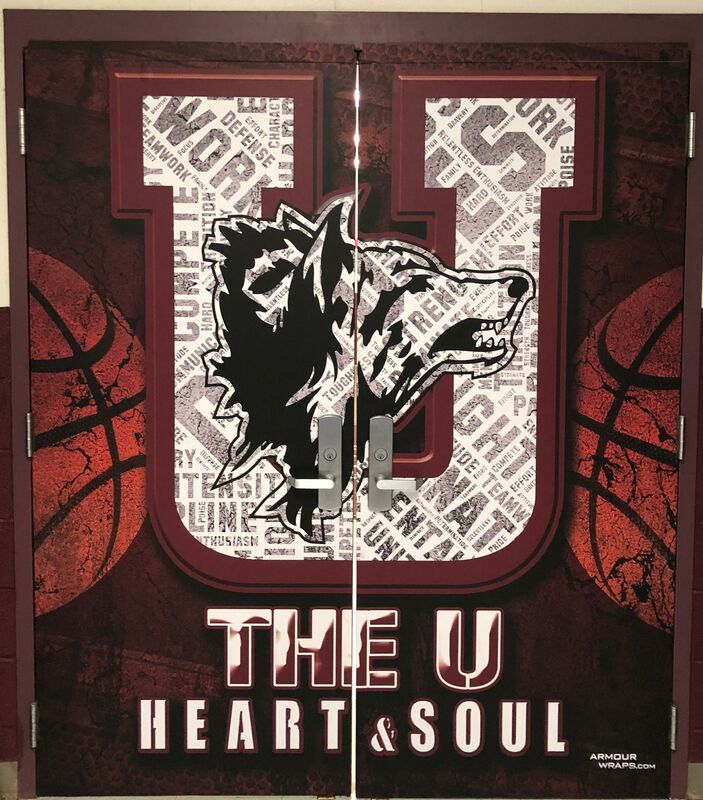 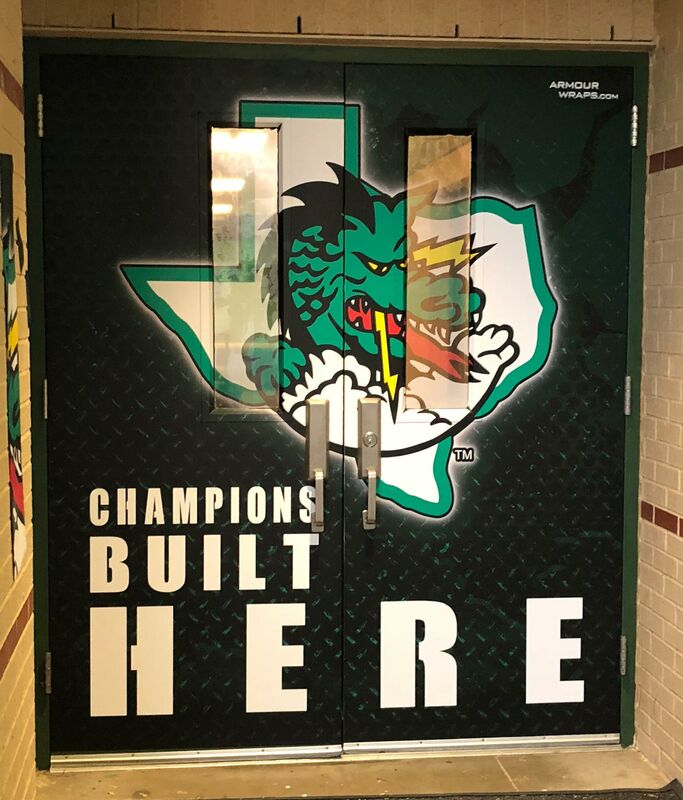 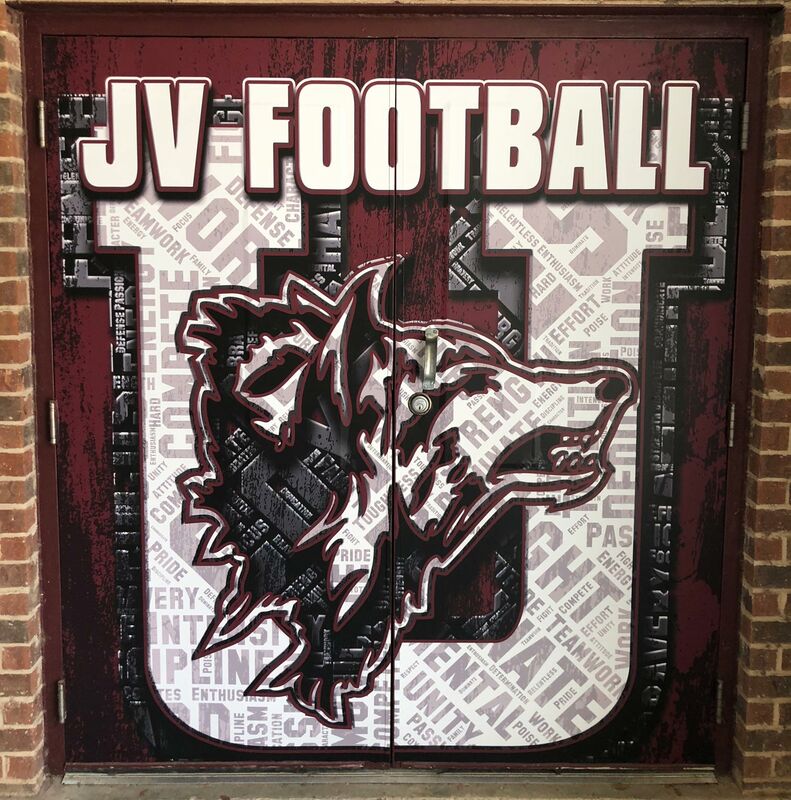 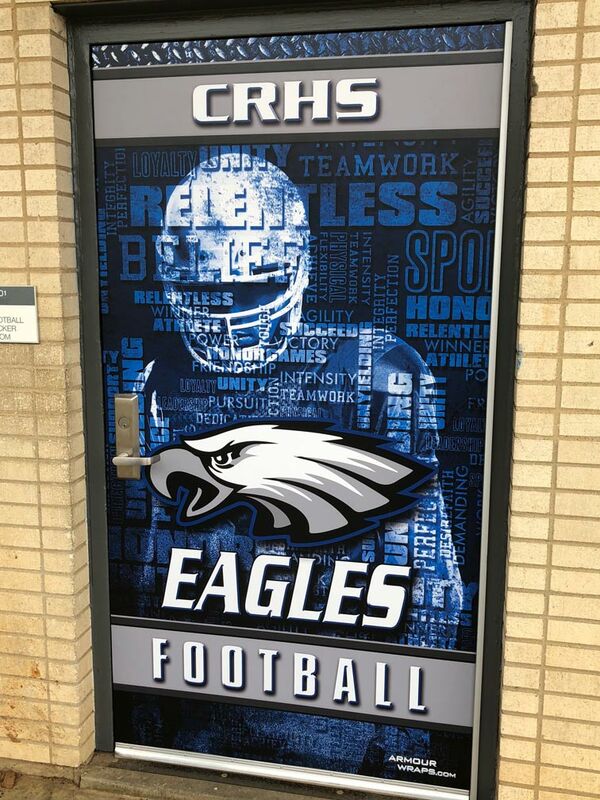 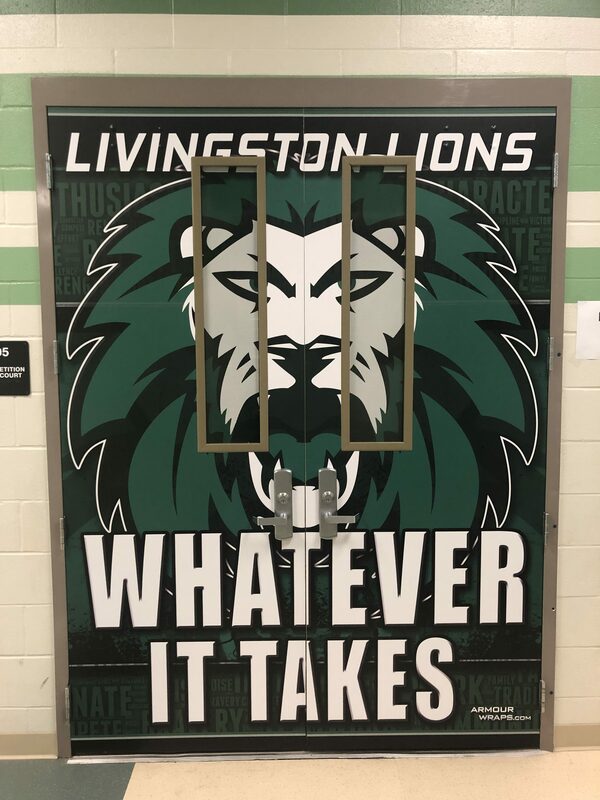 Below are some examples of the door wraps that we have done.